Leading New Testament scholar Robert M. Price has taken umbrage at the cavalier manner in which Rev. Lee Strobel has misrepresented the field of Bible scholarship in his book The Case for Christ. 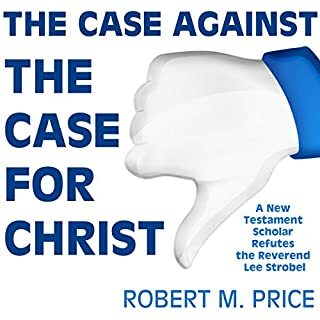 Price exposes and refutes Strobel's arguments chapter-by-chapter. In doing so, he has occasion to wipe out the entire field of Christian apologetics as summarized by Strobel. This book is a must-read for anyone bewildered by the various books published by Rev. Strobel. Assertions like these seem comical until you realize that many Christian parents aren't kidding when they teach them to their children as facts. Every day, impressionable young minds are conditioned to blindly accept wild biblical tales of floating zoos, talking shrubbery, 900-year-old humans, the undead, curses, levitation, demon/human hybrids and men who obtain super-human strength from the length of their hair. Allegiance to these teachings is expected, often demanded. A very good primer from one who knows the game. Written with occasional humor and an easy style, and thoroughly referenced, with many entertaining "gotcha!" moments, Not the Impossible Faith is a must-listen for anyone interested in the origins of Christianity. Richard Carrier, PhD, is an expert in the history of the ancient world and a critic of Christian attempts to distort history in defense of their faith. Why There Is No God provides simple, easy-to-understand counterpoints to the most popular arguments made for the existence of God. Each chapter presents a concise explanation of the argument, followed by a response illustrating the problems and fallacies inherent in it. 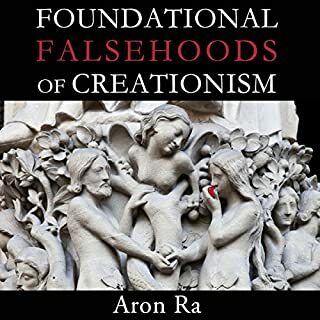 Whether you're an atheist, a believer, or undecided, this book offers a solid foundation for building your own inquiry about the concept of God. An excellent overview of atheism. Seth is changing the world! Fighting God is a firebrand manifesto from one of the most recognizable faces of atheism. 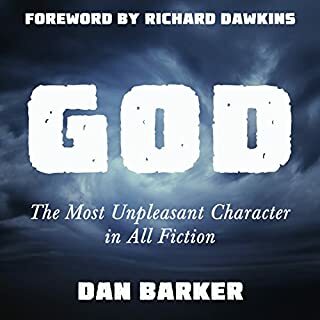 In his audiobook, Silverman - a walking, talking atheist billboard known for his appearances on Fox News - discusses the effectiveness, ethics, and impact of the in-your-face-atheist who refuses to be silent. Silverman argues that religion is more than just wrong: it is malevolent and does not deserve our respect. It is our duty to be outspoken and do what we can to bring religion down. 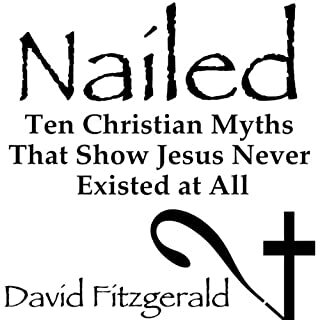 David Fitzgerald's award-winning 2010 book, Nailed: Ten Christian Myths That Show Jesus Never Existed At All, pointed out the top 10 fatal flaws of Christianity's origin story. Now, Jesus: Mything in Action presents the most compelling new findings in Jesus myth theory, critically examines its controversial reception by biblical scholars and the extent and reliability of our sources for Jesus, and reveals the surprising history behind Jesus' evolution. 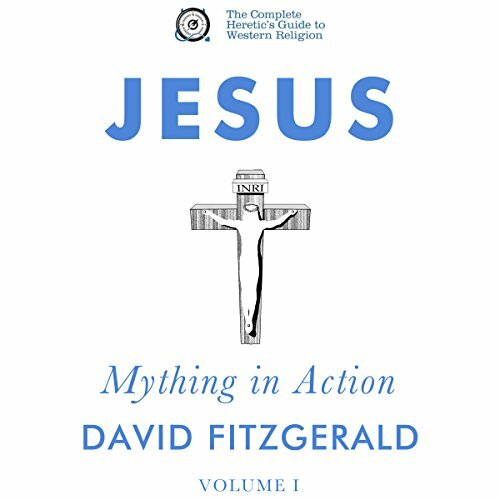 In this volume, Mything in Action (chapters 1-12) looks at the myths of Jesus mythicism: what it is and isn't and what biblical scholars are saying about it (and why); and examines our oldest "biographical" source for Jesus - the allegorical story we know as the Gospel of Mark. 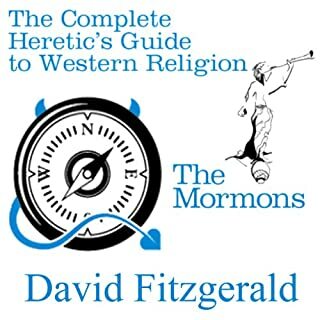 Fitzgerald lays out the case for mysticism in an accessible, entertaining manner. Yet he is includes the details and references. It's not a casual listen. You have to pay close attention, but that's not hard to do. It's compelling enough that you won't want to be distracted. This is another tour de force for David Fitzgerald. A meticulously researched book that is expertly, and entertainingly explained. Handling such a controversial subject in such a straight forward and pragmatic fashion , in my opinion, leaves little rebuttal for the concept of a historical Jesus. I highly recommend it. this book was excellent! the author does a great job at deconstructing the gospels of the New Testament and revealing the many MANY problems with the Christ myths. this part 1 of a 3 part series. I was left wanting more! the author reads the book the book and has a great blend between informative and entertaining. He leaves no stone unturned during his masterful deconstruction. I enjoyed it and I highly recommend it to those who care about putting facts before beliefs. I'm looking forward to Volume 2 and 3. I am also an atheist that happened to be born to a fundamental Christian family. I am fascinated by books like these and also by the history of world religions in general. Great read and great research. I learned a lot from this book. It puts a few more nails into the thought of a historical Jesus. I would have to get a lot of new evidence to believe that Jesus was a historical person. Good job both David Fitzgerald and David Smalley. This book is excellent. I went back to the bible to verify the assertions of different Jesus's, and when you look at the Jesus described, it is no wonder the are so many different Jesus following groups. With the way the new testament is written, it would literally make no sense for there to be agreement among the groups. There is a Jesus for everyone, regardless how divergent they are. A great book that I recommend for anyone interested in the historical Jesus. This book is a fresh look at an old idea and gives the historical Jesus even more depth. The arguments are sound and add validity to the Theory that Jesus may have been a combination of multiple characters or possibly made up altogether. Really helped put the story of Jesus into perspective. Went into great depth to explain the nature of the original story and some of the situation of its creation. Hopefully the next two books help paint the world of early Christianity as this book hyper focused on the Scripture itself. Thanks for explaining in plain English why the existence of Christ is so ridiculously next to not possible! The title was a ploy, please give David your money and start letting him learn you. Where does Jesus: Mything in Action, Vol. I rank among all the audiobooks you’ve listened to so far? This is a wonderful exploration of question of whether the legend of Christianity's Jesus began with an actual person on earth, or a mythical figure invented out of whole cloth and I had a brilliant time listening to it. It goes into just the right amount of depth to be comprehensive without being too complex or daunting. The book is explanatory, entertaining and with just the right level of depth, with enough detail to feel like we aren't skating over important facts, nor too much to feel like it's getting bogged down. 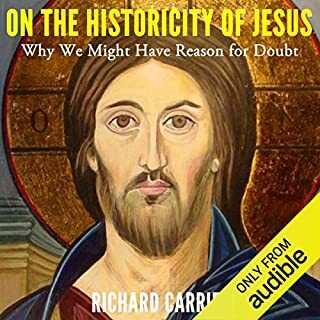 If you want to explore the topic further I also strongly recommend the audiobook version of Richard Carrier's "On the Historicity of Jesus", though as a more academic work the latter isn't quite as approachable an introduction to the subject. I was raised a Jehovahs Witness and I studied the bible for over 15 years. I too had the same questions regarding the discrepancies between the story of Jesus last day and the gospel accounts. When you read the books literally especially Mark it makes no sense however as a book of allogories based on the Hebrew scriptures it all comes together. Stull a great piece of fictional writing. I am an experienced atheist these days.